A knife in the back is something that British foreign secretary Boris Johnson should know quite a bit about. It was just last year when the flamboyant Brexit poster-boy, who had been so sure that he was about to succeed David Cameron as prime minister, was betrayed by best buddy Michael Gove. It worked out for neither of them; Johnson pulled out of the leadership race and was appointed Foreign Secretary by Theresa May, while Gove was left to rot on the backbenches until he was re-appointed as Environment Secretary. 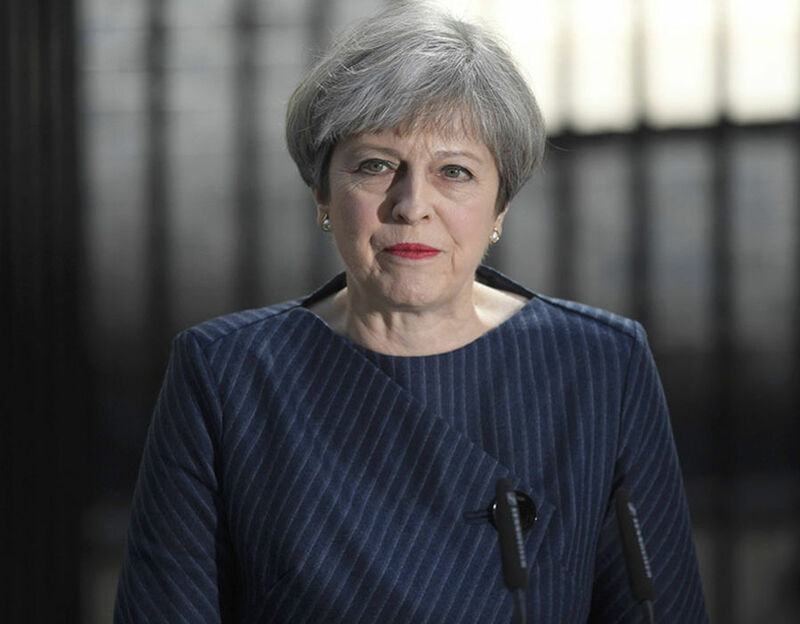 One year later, the knives are once again out, except this time, the race to replace Theresa May is likely to leave many in the Conservative party bloodied. The fact that May will not last very long is accepted wisdom: the Tories are well known for their efficient disposal of unsuccessful leaders, and the fact that May threw away a hard-earned parliamentary majority in an unnecessary gamble to increase that very majority is more than enough to put her in the category of the unsuccessful. The Tories have now been forced to enter an unpopular and much-ridiculed pact with the Democratic Unionist Party, while Jeremy Corbyn’s Labour has steadily increased its momentum. So most have arrived to the conclusion that May must go. This, above all, is due to a simple electoral logic: May is damaged goods, and for her to lead the party into the next election would be unthinkable. Therefore, she would have to go sometime before 2022. The question is on whether or not the Tories will tolerate her for even that long. But there is a lack of consensus on when she should quit. A minority wants her to go as quickly as possible- the sooner the better. Others in the party, however, have a different view for a variety of reasons. Some believe that she should stay on for now until Brexit is finished, because Brexit is such a poisoned chalice that the party might just as well expend one already toxic leader and then coronate a new one after the negotiations are over. They think this is proper punishment for May, who deserves to be the one running a minority government after her election debacle: “you break it, you own it”. But by far the most cited concern is the fact that the UK does not have the luxury of time. It cannot afford the turmoil of a leadership election while it is conducting the Brexit negotiations. Despite this lack of clarity on when May will quit her post, however, this has not stopped the Tories from sharpening their knives. The Conservative cabinet and the parliamentary party is home to a number of highly ambitious men and women, all of whom think they have what it takes to become the next British prime minister. So let us take a survey of the field. First, some of the less likely candidates to succeed May. One is Amber Rudd, the home secretary, but she is unlikely to win much support because of her wafer-thin majority in her own constituency. (It’s not very convenient to have a prime minister permanently at risk of losing her own seat). Another is Andrea Leadsom, who also contested the Tory leadership last year and lost but has since lost most of her momentum. Her recent noteworthy acts include hailing Jane Austen (1775-1817) as “among the greatest living authors”. 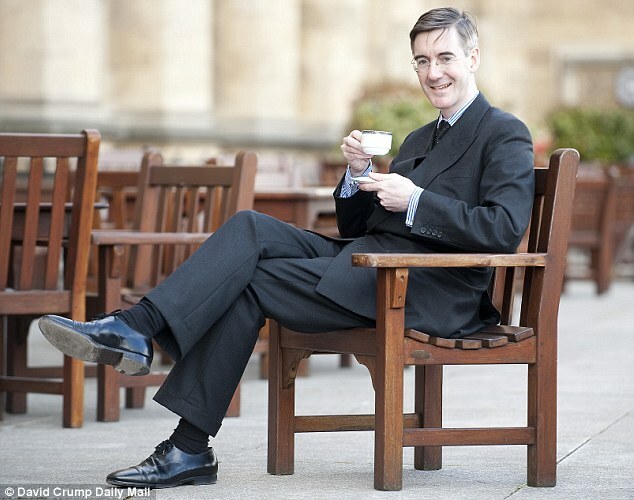 We also have Jacob Rees-Mogg, the rebellious MP for Northeast Somerset. He is, as described by his parliamentary colleagues, a bit of an ‘oddity’ that has ‘wandered in from another century’ (or, more politely, ‘the honourable member for the early 20th century’). That much is clear from how he dresses and his lifestyle; he recently named his sixth son ‘Sixtus’, just wrote his first tweet in Latin and sprinkles his speeches with historical references and Etonian terms such as ‘floccinaucinihilipilification’. Millennials seem to be rushing to embrace him, with the birth of such Facebook pages as ‘Middle Class Memes for Rees-Moggian Teens’. 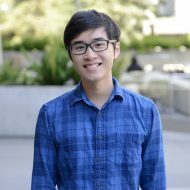 But his popularity is better understood as due to the humorous nature of his character rather than as a testament to a general belief that he can lead the party; his extremely conservative views do not square with those of the millennials making memes about him. 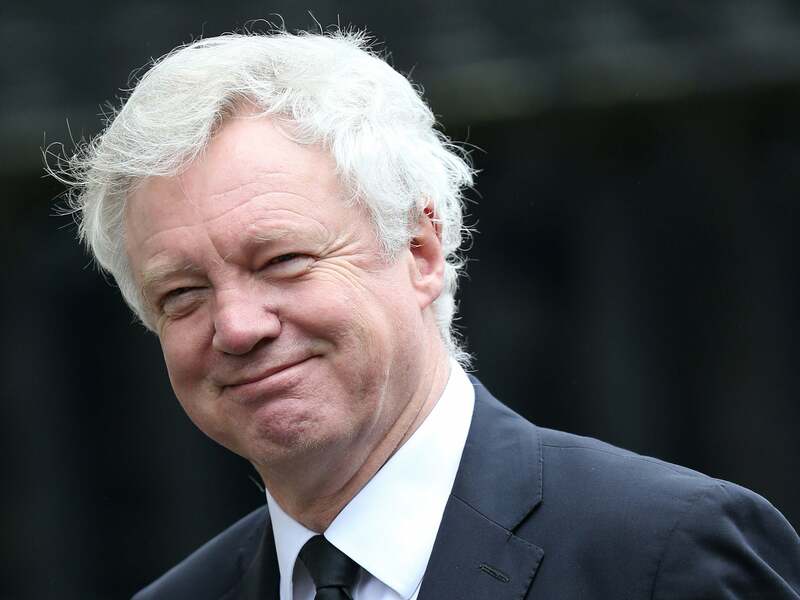 1) David Davis. The news is constantly filled with rumours that the Brexit secretary’s allies are ‘on manoeuvres’. This could be, to borrow the words of the US president, “fake news”, but the frequency of these allegations are such that they become impossible to ignore. We know with certainty that Davis has harboured ambitions for the premiership, for he ran against David Cameron once to claim the Conservative crown. Davis is an experienced and thoughtful cabinet member, and he, fairly obviously for a man whose job title is ‘Secretary of State for Exiting the European Union’, is totally committed to Brexit. This has translated into good poll numbers; currently, surveys of Tory members show that he tops the preferred-candidate list. But if Theresa May couldn’t connect with a younger electorate, Davis is also unlikely to be successful. He also suffers from lapses of judgement from time to time, most notably in 2005 when he had a few slip-ups with regards to women. The most important issue, however, is that of the current job that he is holding. Davis is responsible for making sure that Brexit is a success. That is a problem for him for two reasons if he is planning on becoming prime minister. Firstly, the job of Brexit Secretary is arguably the most important job in the UK at the moment. It is most likely extremely time consuming. This leaves him precious little time to be planning and running a leadership campaign (and if he is indeed doing so, that would be a mark of huge irresponsibility). Secondly, whether or not Davis can become prime minister will be linked inextricably to whether or not the Brexit he oversees is a success. So far, the signs are not good. The negotiations has produced only deadlock. 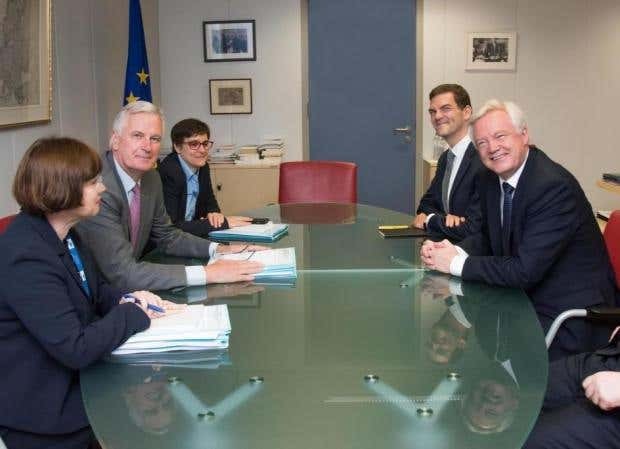 Even on basic matters, incompetency is being illustrated: a photo of a meeting showed the EU’s negotiators ready with stacks of notes, while Davis and his aides sat by an empty table. It was later excused that Davis simply had not yet brought out his papers, but the message the visual communicated was clear: the UK under David Davis’ leadership was unprepared for the Brexit talks. All of this will hamper any attempt to place Davis into the premiership. 2) Boris Johnson. 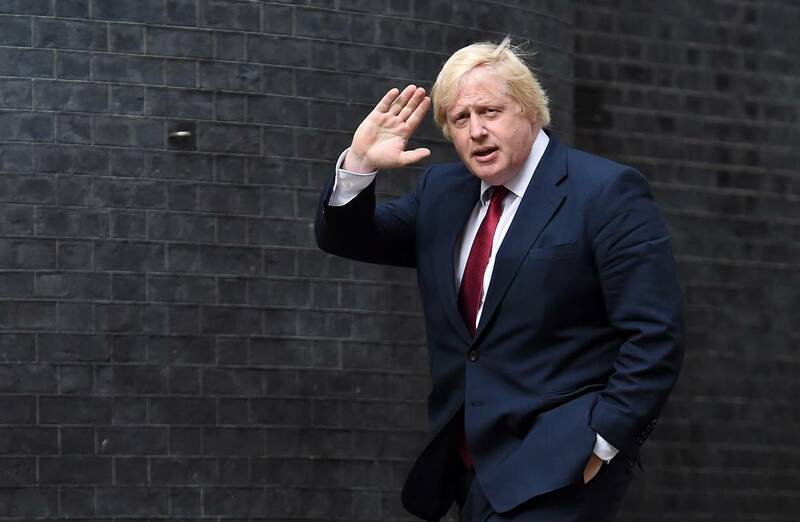 There’s little need to say that Johnson wants to be prime minister; as one of his opponents during the Brexit referendum said, the only number he’s interested in is 10 Downing Street. While the fact that May chose to put him in the Foreign Office has been explained as a way to distract Johnson from being able to challenge her leadership by constantly having to fly around, it has also given him the opportunity to run one of the great offices of state. Johnson also remains popular with much of the Tory rank and file. But how much that popularity remains with the country in general is not clear. His favourability rankings have collapsed after the divisive Brexit referendum, during which he was the frontman for Vote Leave; he can no longer be described, as he was regularly prior, as the UK’s “most popular politician”. Indeed, the British may finally have grown tired of the ‘bumbling Boris’ act. The worst of the predictions of how he would fare as Foreign Secretary have not been borne out- he hasn’t called for a restoration of the British Empire, for example- but he continues to commit numerous unforced gaffes and gives car-crash interviews. It’s long rumoured that behind the boorish persona is a deeply intelligent man, but the public has not seen much evidence of it. Of course, there would be advantages to the Tories if Johnson were to become prime minister. He clearly loves campaigning and can connect with the public. He is more charismatic than any of the other prospective candidates for prime minister. He and his supporters view him as a Churchillian figure, and some think that as the man more responsible than most for making Brexit happen, he should be the one leading Britain through it. His relationship with Michael Gove is being repaired, and Gove would bring his own army of supporters and some intellectual heft. Johnson’s enemies, however, frequently outnumber his supporters, and many in the parliamentary party will not vote for him as leader. Huge obstacles remain in his path. 3) Philip Hammond. The Chancellor of the Exchequer is not an exciting man. He is not frequently mentioned as a contender for the premiership. Such is his lack of exciting qualities that the best nickname people can come up for him is ‘Spreadsheet Phil’. Nothing is quite so exhilarating as Microsoft Excel. Some, however, think he would be perfect as a caretaker prime minister, at a time when the UK simply needs a steady pair of hands to take the country through Brexit. Hammond has a lot of cabinet experience compared to his rivals: when Cameron was prime minister, he was Defence Secretary and Foreign Secretary. The Economist dubs him “a serious man for serious times” and “a grown-up in a political playpen that is stuffed with children”, making him “the most impressive candidate to replace Mrs May”. (For the other two contenders the paper reserves rather less praise; it calls Johnson “bumptious and bungling” while Davis is labelled a “vainglorious contrarian”). Yet Hammond also has his issues. It is difficult to imagine him taking the Tories into the next election, for he is a less than inspiring figure. He is also well known as a soft Brexiteer who would find it difficult to please the hard Brexiteers in the party. And he must survive his career as chancellor first. May was intent on sidelining him, but failed to succeed because she herself became damaged after the election. This does not mean that the ill-will has ended, however, and Hammond also has the difficult task of nursing a British economy pained by austerity back to health. This post has essentially been an exercise in uncertainty. David Davis and Boris Johnson are perhaps frontrunners, but they are by no means clear frontrunners. Much of the Tory members surveyed are still undecided, or backed other candidates. There is a dearth of people within the Conservative party that are ready to take over the reins of the leadership. All the contenders listed have issues of some sort that prevent them from becoming May’s obvious successor. This is surprising, considering that the Conservatives are one of the two largest parties in the UK. It seems likely that a new face not previously considered- perhaps a younger MP, will rise to power instead of any of those listed as in contention for the post of prime minister. The government is not stable and the UK is not ready for the Brexit talks. A cabinet that is endlessly whispering over who will take over the prime minister’s job is not a cabinet that is united. There is endless briefing against each other in the newspapers. Yet Brexit is the most difficult task that the British government has faced in a generation. If the UK is not prepared to take on this task, then it is not difficult to see why. In Brexit Britain, the knives are out. The only problem is that the people wounded will not just be the ministers of the Conservative party, but all the people of the UK.